Rafting on the Dunajec River is available from 1st of April until 31st of October. 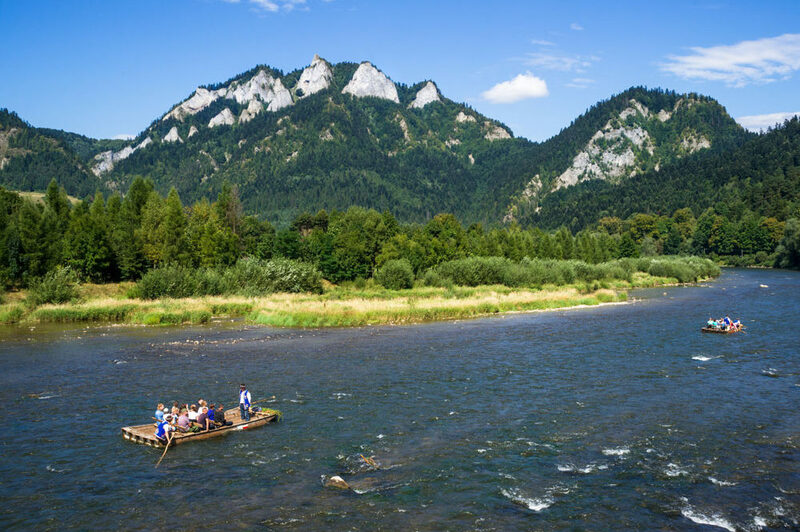 Rafting on original raftsman boats is the biggest attraction and at the same time the most comfortable way of visiting the Pieniny National Park. The rafting begins in the raftsman harbour in Sromowce after gathering a group of minimum 10 participants. Rafting lasts about 3 hours. Our driver will wait for you in the parking in the finishing point of the tour.